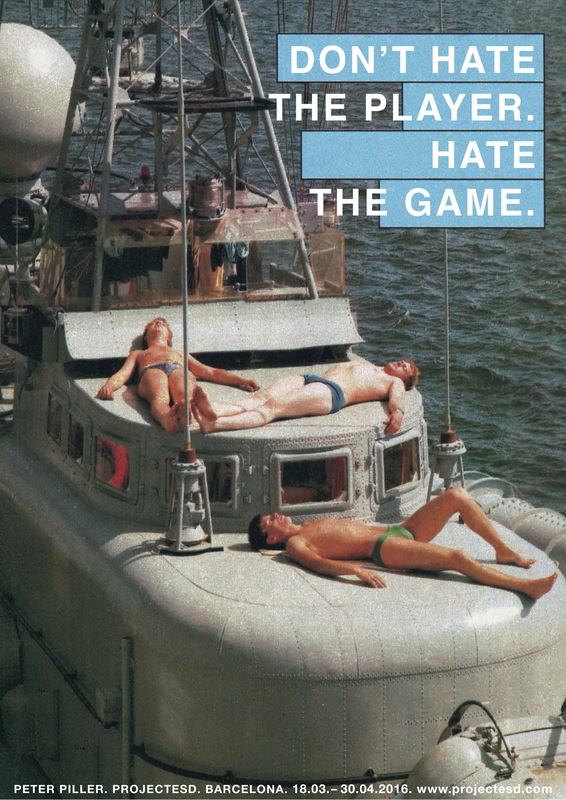 Poster produced on the occasion of Peter Piller’s exhibition, Don’t Hate The Player. Hate The Game held at ProjecteSD in March-April 2016. Digitally printed, colour, designed and signed by Peter Piller.